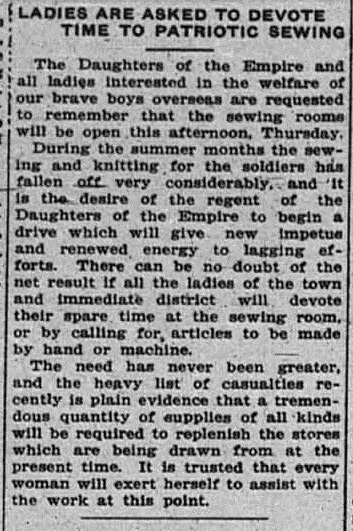 While Canadians were enlisting for service in Europe for the Great War, Camrose exemplified the impact that wartime also had on the women who remained on the home front. Camrose and its surrounding districts experienced the same shortage of labour on farms as well as in industry as did the rest of Canada due to such a large portion of the male population overseas. 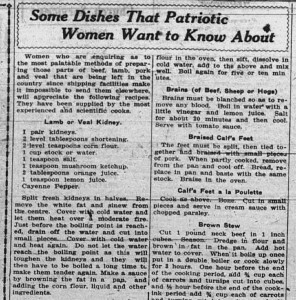 War efforts on behalf of the women at home sprouted up across the nation. 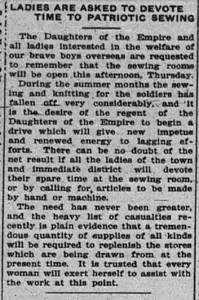 The Women’s Relief Corps, the Daughters of the Empire, as well as local volunteers contributed in terms of supplies sent to “the boys.” Sewing projects and comforting letters, as well as providing the Camrose Canadian newspaper with said letters for publication marked a female involvement. 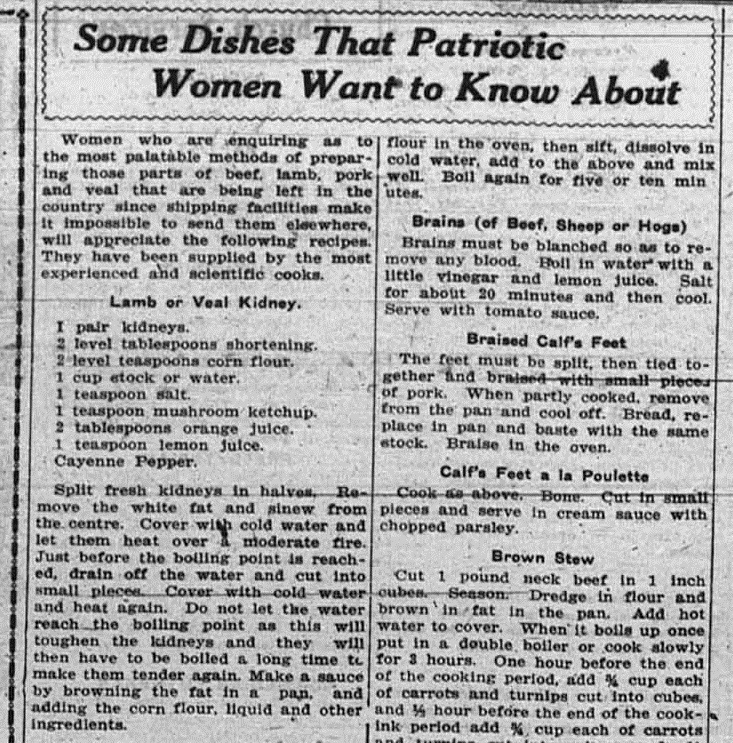 Busier than ever, the years 1914-1918 reflected an important role that women played in their local communities, families, and for the Great War itself. A massive sugar shortage also created conservative measures in Canada. Household sugar consumption was reduced to 1½ pounds per person per month by the Canadian Food Board.3 Brown or yellow sugar was recommended as a substitute and preserves/canning was highly encouraged with the limited availability of sugar.4 As a result the hoarding of sugar was fined and in May of 1918 it was deemed illegal to make candy for private consumption.5 Camrose women would have felt the impacts of these limitations on both a private as well as a commercial scale.